This dessert is like a present. 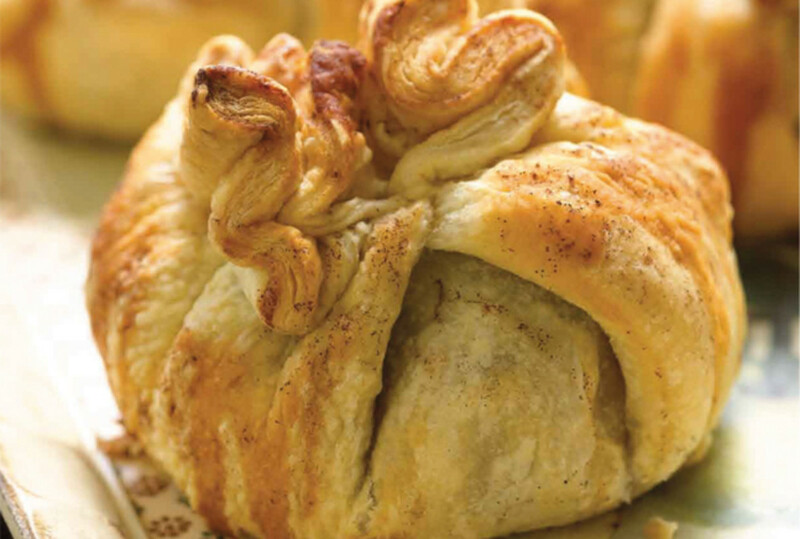 You discover a treat all wrapped up in puff pastry: a soft, sweet apple. 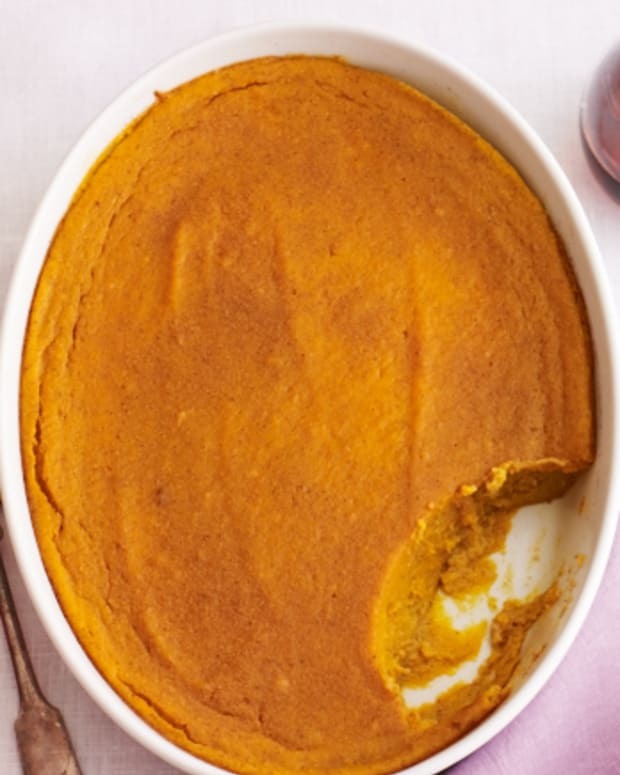 This is a lighter dessert and pretty low in calories if you skip the non-dairy ice cream. After all, it&apos;s your apple for the day. Or you could serve it as a complement to a richer dessert if you want to give people two options. 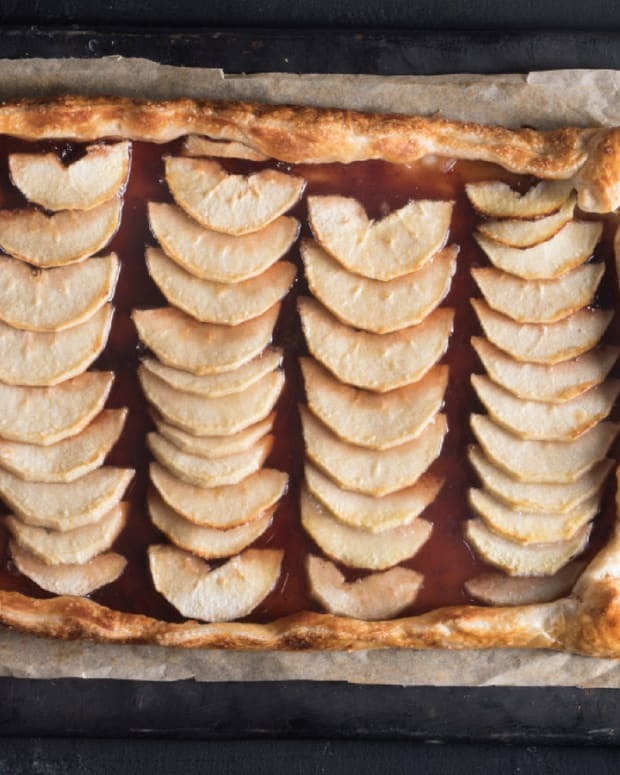 Note: For smaller portions cut the apple in quarters or even eighths just be sure to adjust the amount of the sugar and nut mixture along with the number of puff pastry squares accordingly. Preheat oven to 350°F. Lightly grease a 9 x 13-inch pan with non-stick baking spray. In a bowl, mix the nuts, raisins and brown sugar. Set aside. Place 1 apple half, skin side down, on a puff pastry square. Pastry should be pliable enough to twist. Fill apple cavity with nut mixture, approximately ¼ cup per apple half. 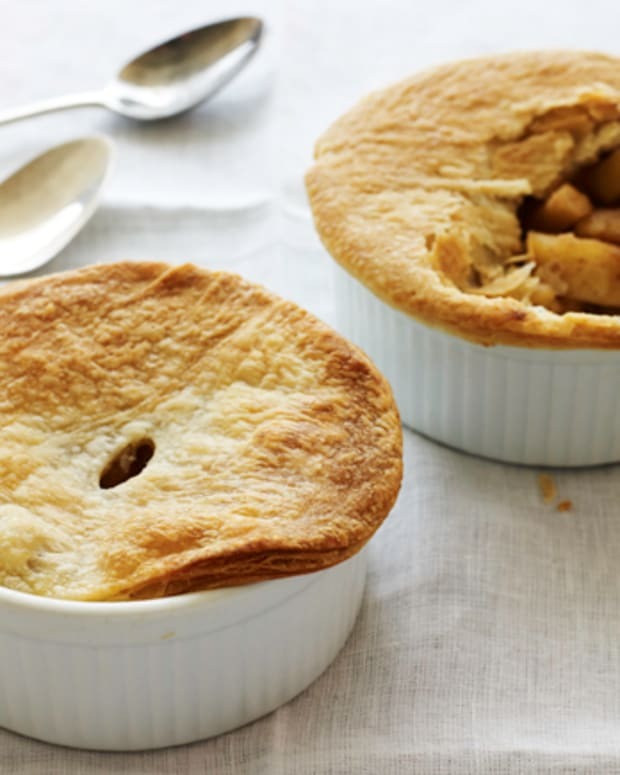 Bring pastry up and around the apple half to cover. Twist the corners together so it looks like a drawstring purse. Sprinkle with cinnamon and drizzle with honey. Repeat with remaining ingredients. Bake, uncovered, at 350°F for 45 minutes or until apples are soft. A sharp knife inserted into an apple should slip out easily. 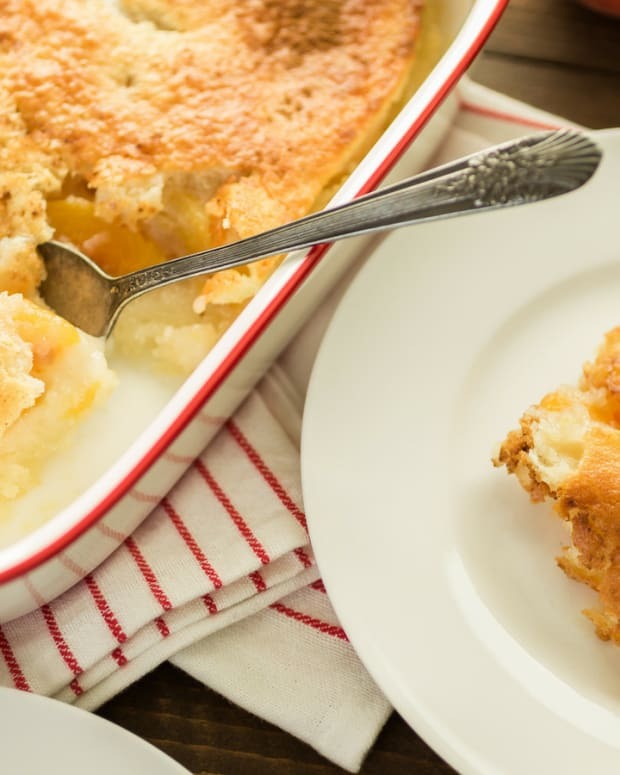 Serve each with a scoop of non-dairy vanilla ice cream, if desired. 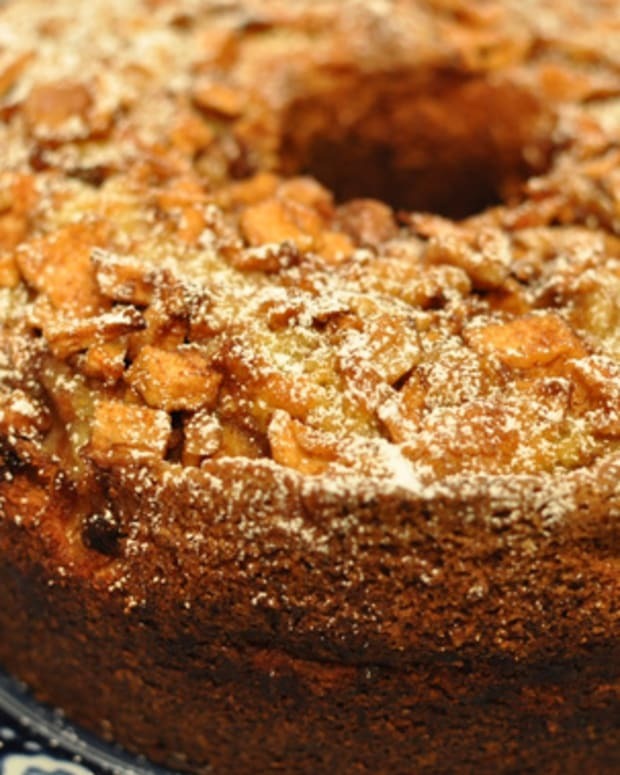 For a change of pace, substitute dried cranberries or dried blueberries for the raisins. 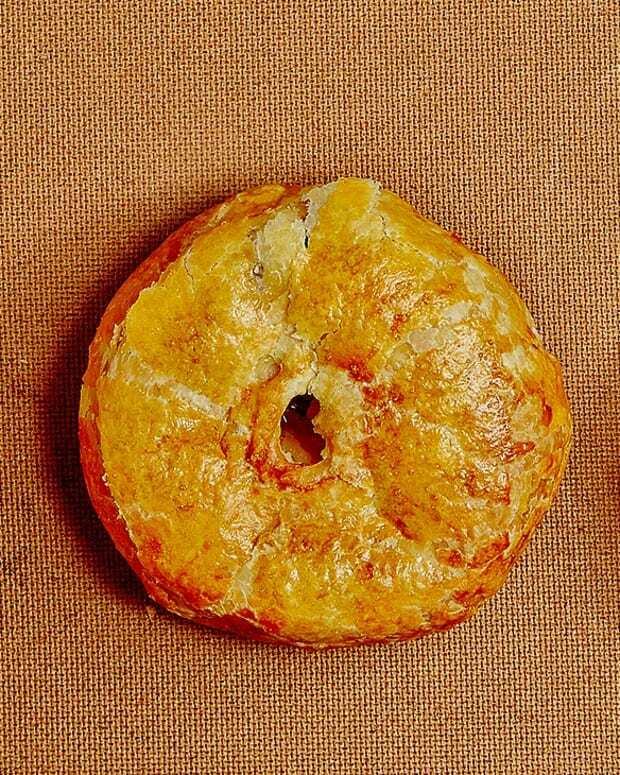 When the puff pastry is completely defrosted, it is pliable enough to wrap around 1/2 an apple. If you don't have the patience to wait, you can slice the apples in 1/4s to fit in the semi-defrosted squares.